Owning an inflatable stand up paddle board or kayak makes the logistics of transporting and storing your watercraft a lot easier. BUT it also means you have to inflate and deflate your equipment before and after use. Most models come with a hand pump that usually works well. However, if you want to get paddling as quickly as possible or save your energy for paddling, you’ll appreciate the convenience of an electric pump. To help you get the most out of your sport, we’ve reviewed the best electric pumps for inflatable stand up paddle boards and kayaks. 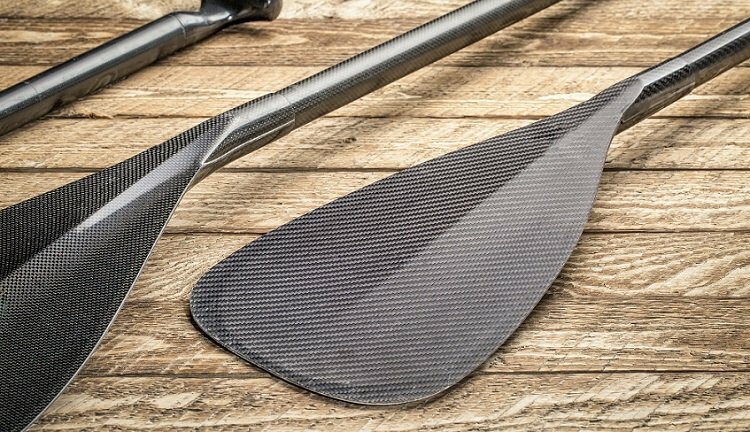 For more of my top gear recommendations, have a look through these popular Outside Pursuits guide links: Inflatable Paddle Boards, Inflatable Kayaks, SUP Paddles. Here is a feature comparison of my top rated inflatable electric pumps with a comparison table and our buyers guide below will help you choose a pump for you. The Sea Eagle BTP Mano electric pump is a well-engineered high performance model specifically designed for products with high air volume requirements such as SUPS and kayaks. Depending on the size and required PSI of your board, it can inflate your gear in around two minutes. 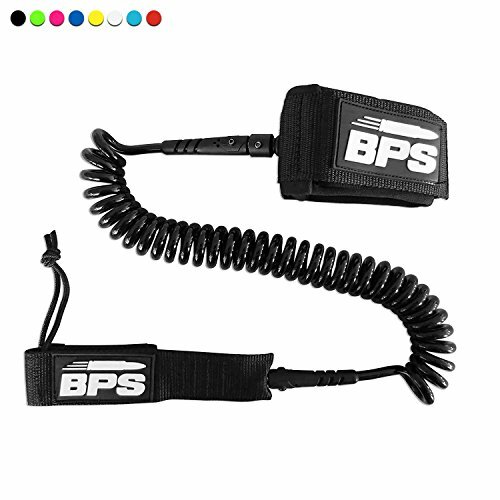 The pump connects to a 12V battery with two alligator clips and a cable that is 8 1/2 feet long. For maximum speed and convenience, the pump has two stages, a high turbine blower first to quickly fill up your inflatable watercraft with air. Stage two consists of a high pressure piston for filling up to the required PSI value. The included safety feature allows you to set a target PSI value and the pump will automatically shut off. For maximum compatibility, the pump features a standard valve and comes with a wide range of adapters. 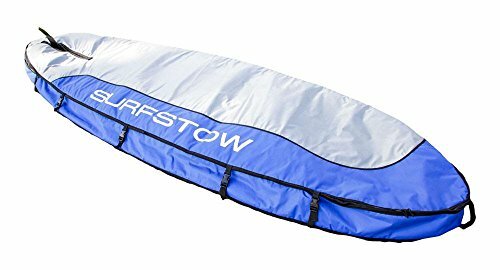 Combined with the safety feature, this means you can inflate SUPs and kayaks, but also an air mattress or other water toys. A full 12V battery charge is enough to inflate a large watercraft several times over. The Sea Eagle BTP Mano electric pump comes with a bag and a 6-feet hose. Its compatibility and high performance makes it the best air pump for inflatable SUPs and kayak owners who use their gear on a regular basis. One thing to note about this pump is you cannot connect it to a cigarette lighter plug or power outlet in your vehicle. If you are not going to use your vehicle battery, you will need to purchase a 12V battery. The ExpertPower 12V is a good choice and I would get a trickle charger as well like the Schumacher SEM-1562A Battery Maintainer. The Sevylor SUP and water sport electric pump offers great value at a reasonable price. Its powerful performance allows you to inflate a large SUP in less than 8 minutes. For your convenience, you can select among PSI, KPA or mbar on the integrated LCD pressure gauge to set a target pressure value and the electric pump will shut off automatically. It can inflate watercraft up to 15 PSI. The pump simply plugs into the cigarette lighter outlet of your car, but also features a slot for a 12V battery. 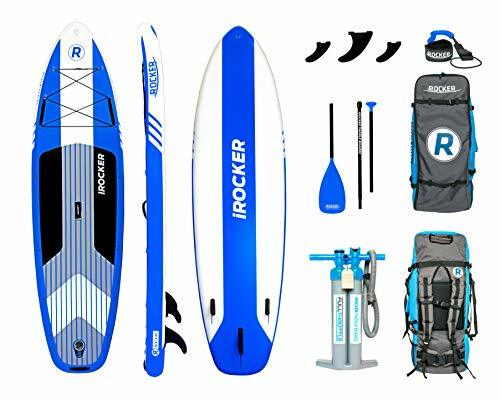 The manufacturer includes adapters for Double Lock, Mini Double Lock, Boston and pinch valves, which makes this model practically compatible with nearly all inflatable SUP boards and a wide range of other watercraft. Two types of extension hose are also included: a durable hose with high-pressure valve fitting for reliable inflation, and a low-pressure hose. The pump’s great price, high power and valve adapters make it a great electric pump for inflatable SUPs and kayaks. 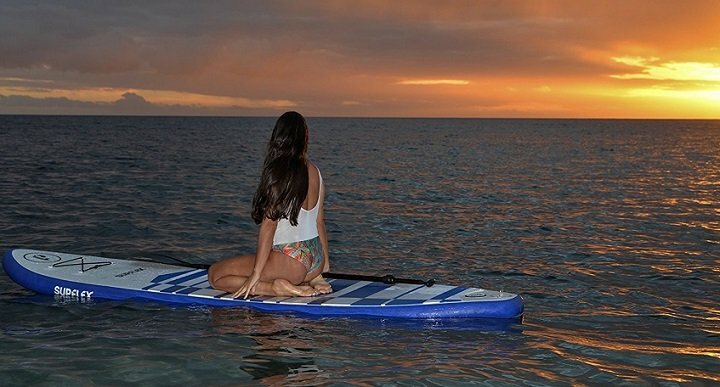 The Nixy Paddle Boards electric pump is not just for their model iSUPs. The hose adapter is compatible with any inflatable SUP or Kayak with an H3 valve, which is all of them. It can also be used with all other watercraft that fit this nozzle. Universal adapters for other valves are available on the market but are not included. 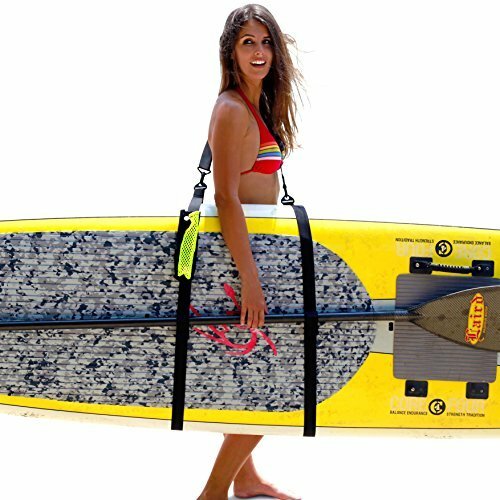 The NIXY Paddle board pump works reliably at a speed of roughly 1 PSI per minute and will fill a regular SUP board with air in 6 to 10 minutes. Compared to other pumps, it might be slightly slower but is also less noisy. A safety setting allows you to “set it and forget it” – simply enter the target PSI value and the pump will shut off automatically. Once you turn it on it will sound similar to a vacuum cleaner but once it fills the SUP or Kayak to about 1 PSI the 2nd stage compressor kicks in and you will notice a complete difference in sound and that’s normal. It can inflate watercraft up to 20 PSI, making it suitable for a kayaks or other large hull inflatables as well. A great feature on this pump is the deflate function, allowing you to do other things while it’s deflating. It takes around 4 minutes to let the air out of a SUP using the pump. This pump can plug into the cigarette lighter of your car or connect it to a 12V battery with the included alligator clips. The included air hose is flexible, so it stays kink-free. It comes with a nice storage bag with a shoulder strap so it’s easy to carry and stay organized. The NIXY Paddle electric pump is a high quality electric pump that works with any SUP or kayak on the market and makes inflating your iSUP a pleasure! The Seamax dual stage electric air pump is a durable and reliable model that works with just about any inflatable SUP or kayak. The construction uses marine grade ABS and nylon materials and is specifically designed to withstand salt water corrosion. The iSUP electric pump plugs into the cigarette lighter outlet of your car or can be connected directly to your car battery. It can inflate watercraft from 0.5 PSI up to 20 PSI and takes only 10 minutes to reach that maximum capacity. It will take less than 5 minutes to fill a regular iSUP with air. A digital pressure gauge informs you of pumping progress and you can set a PSI value as a target. The pump will shut off once the desired pressure is reached or after 20 minutes of operation to avoid any damage. Compatibility with Halkey-Roberts and Bravo valves means you can use the Seamax pump with just about any SUP or kayak on the market. A total of 5 universal valve adapters let it work with other inflatables as well. The reinforced air hose prevents damage and air leaks and ensures this electric air pump for inflatables will serve you well for years to come at a great price. The Kwik Tek Airhead AHP-120HP electric air pump features a different approach. 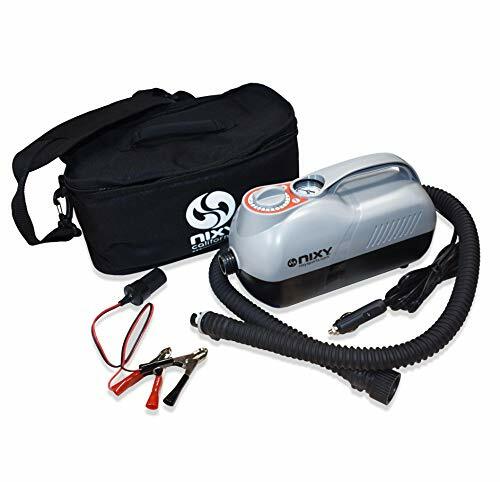 It connects to a regular 120V DC power outlet and therefore has the fastest pumping speed, blowing about 460 liters of air per minute. 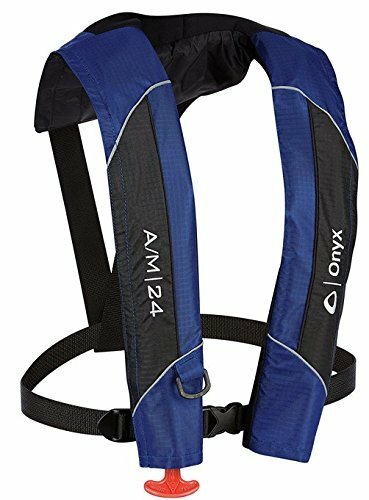 It is compatible with a wide range of watercraft, including ISUPS, kayaks and inflatable boats. Thanks to a pressure relief valve, you can limit inflation to about 1.5 PSI to avoid over-inflation of smaller equipment and pool toys. This electric pump ranges up to 20 PSI and can be hooked up to a ball pit or air castle as well. However, it lacks a pressure gauge and automatic shut-off. You will need to pay attention as it doesn’t shut off at a target PSI and runs off 120v only. If you want to run this pump at the water’s edge, you also need to purchase a power inverter which is able to deliver at least 800W. 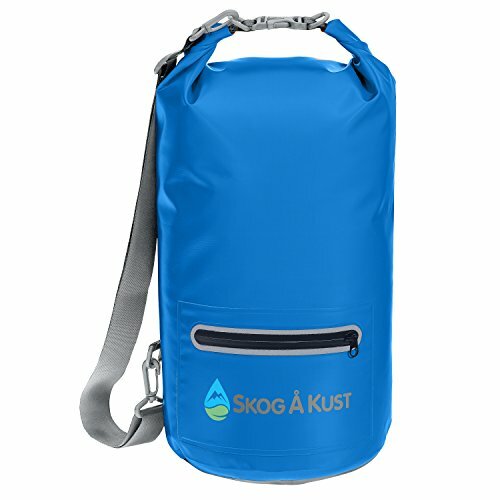 The very reasonable price of the pump still makes this a viable option for portable pumping. The Kwik Tek Airhead electric pump is a great choice if you plan on using a wall outlet or need to emphasize high pressure and high-speed inflation. Are you ready to switch from a hand pump to an electric pump for inflating your SUP or kayak? We’ll explain the key features you need to know about in order to make an informed decision and choose the right electric pump for your needs. The right electric pump for you should be compatible with all your inflatable watercraft. You therefore need to pay attention to the pump’s valves and possible adapters that come with it. In terms of functionality, look at the PSI range the pump covers, if it has one or two stages and if it has a safety feature to avoid over-inflating your gear. The power details will tell you with what kind of power sources the pump works and how quickly it can get the job done. After our top selection of electric pumps for ISUPs and kayaks, we’ll give you more tips on how to choose. 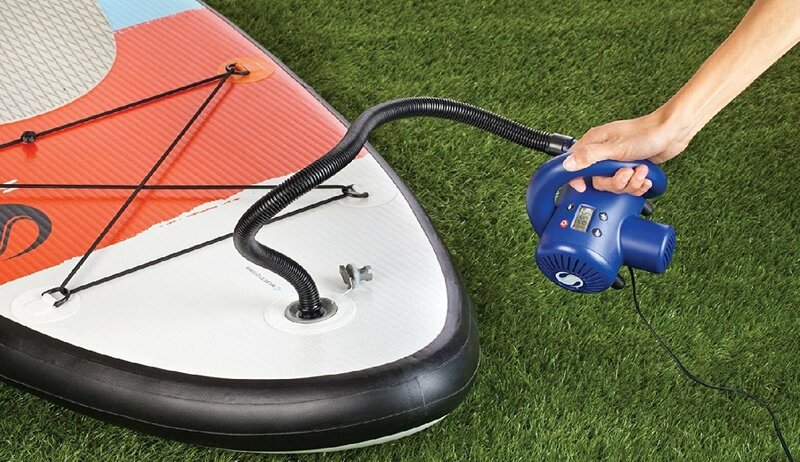 In order to get the most out of an electric pump, it should be compatible with your inflatable stand up paddle board and ideally other watercraft you want to inflate with it as well. This typically comes down to valves and adapters. A very common valve on ISUPs is a Halkey-Roberts valve, H3, HR or H-valve for short. They can hold a very high pressure and can relatively easy be replaced and serviced. A similar design is the military valve. Other gear might feature a Leafield, Boston, Pinch, Double Lock or Bravo valve. High pressure watercraft will feature a HR or military valve. The approach to solving the valve dilemma is to get a pump that matches our SUP or kayak and then make sure you have or get all the necessary adapters for the rest of your equipment. Electric pumps come with either one or two stages. A one-stage model will simply blow air into the watercraft until the desired pressure is achieved. The speed here will vary, depending on how powerful the pump is. The approach of a two-stage pump is to first inflate at a high volume and then increase the pressure ratio in the second stage to reduce overall inflation time. Keep in mind that more powerful pumps will be noisier. Of the reviewed models, The Kwik Tek Airhead pump is the fastest but requires a DC power outlet. A useful feature is the option to reverse the airflow to deflate a watercraft. Among our selection, only the Tower Paddle board pump has that possibility. Most manufacturers assume you will transport your paddle board or kayak by car and design their pumps accordingly. These electric pumps either connect to the cigarette lighter plug or directly to your car battery. Some feature a direct connection to a 12V battery or have the option of an external battery pack. Only one model is designed to connect to a regular power outlet. If you’re worried about power consumption and draining your car battery, keep the engine running when inflating your watercraft. In many cases, this will increase the output and improve the pumping speed. With a built-in pressure gauge, you can follow the progress of inflating your SUP or kayak. Pressure gauges can be analog in the form of a dial or needle, or digital with an LCD. Nearly all models combine this with a safety feature where you can input a target PSI and the pump will shut off automatically. This allows safe unsupervised inflation. The Kwik Tek Airhead model does not include this feature but comes with a safety pressure valve instead that when used limits the target pressure to 1.5 PSI. Check the manual of your inflatable watercraft for the recommended pressure for your gear, then make sure you pick a pump that can deliver as much. Pressure is measured in pound per square inch, or PSI for short. Most iSUP manufacturers will recommend a value between 10 and 15 PSI. Large hull watercraft and ball pits or air castles can require a greater PSI value. The Kwik Tek Airhead, the Tower Paddle Board pump and the Seamax electric air pump can deliver up to 20 PSI, whereas the other two models top out at 15 PSI. Q: How long does an electric pump take to inflate a stand up paddle board? A: The speed varies with models as there are differences in size and requires pressure for SUPs as well as electric pumps with a higher performance. As a rule of thumb, you can expect an electric pump to deliver 1 PSI per minute. With most electric pumps, inflating a SUP is a matter of 5 to 10 minutes. Using a hand pump will generally take you around 10 to 20 minutes. Not only does it take longer but getting the last PSI into the board is quite difficult. Q: Can I over-inflate my watercraft with an electric pump? A: In theory, it’s possible to force too much air into an inflatable kayak or iSUP that exceeds the maximum capacity. The result could be a rupture or other permanent structural damage to the watercraft. However, the maximum capacity beyond which it is safe to inflate the equipment is far greater than the operational pressure. In addition, electric pumps not only feature a gauge to keep track of pressure, you can also set the desired PSI and the equipment will shut off automatically. Electric pumps are safe to use to inflate high pressure gear because safety issues begin to occur only at values greater than the pumps can deliver. Over-inflation is more an issue with low pressure items such as pool toys and other inflatables. Make sure you use the safety feature to inflate these. Q: To what PSI should I inflate my SUP board? A: For any inflatable watercraft such as a kayak or a stand up paddle board, you should always follow the manufacturer’s instructions as values can vary. In the manual, you will find a PSI range at which you should operate your equipment. For SUP boards, it’s generally in the range between 10 and 15 PSI. The absolute maximum capacity is higher and can be around 25 PSI. Beyond a value of around 15 PSI, you won’t notice any significant increase in the board’s rigidity or performance in the water. Q: What is the advantage of using an electric pump? A: Electric pumps are primarily a timesaver: when you ride your board a lot and have to deflate it every time for storage or transport, those extra minutes it takes you to inflate with a hand pump surely add up. If you paddle or ride with friends and family, an electric pump can make a difference of being in the water within minutes or only after half an hour or more. With the option to deflate your watercraft that some pumps have, you can also save time at the end of the day. You will also notice that initially, inflating with a hand pump is easy, but as you reach those last necessary PSI, the resistance becomes quite high, making it a strenuous activity. Q: Can I use an electric pump to deflate an inflatable watercraft? A: That depends entirely on the model. 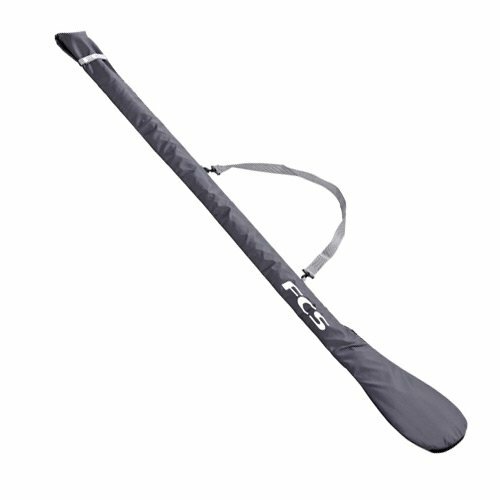 Some manufacturers include a deflate or reverse option which quickly extracts the air from an inflatable kayak or stand up paddle board. 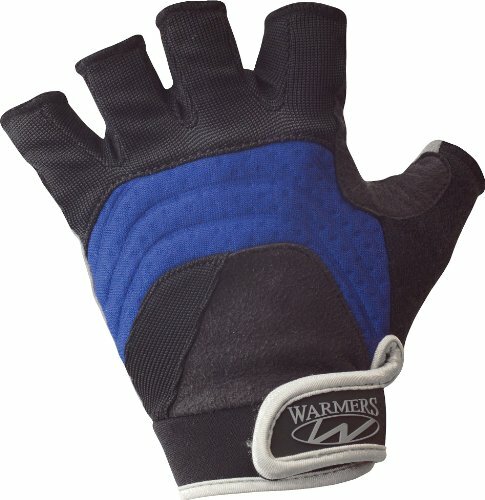 This feature allows you to save time and helps you tightly fold up your equipment. Q: Should I store my SUP inflated or deflated? A: The short answer is that you can store your SUP inflated or deflated. It is best to follow recommendations from the watercraft’s manufacturer. Ideally, rinse off your board after every use and dry it completely before storing it indoors with about 5 PSI of inflation so it remains fully unrolled. Always store your gear in a dry cool place away from exposure to heat and the elements. 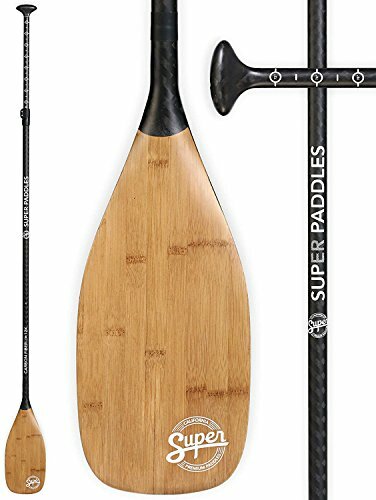 However, one of the great advantages of an inflatable SUP is the ability to transport and store it in a more compact form. A high power electric pump is a convenient and versatile piece of equipment that you will definitely appreciate if you use your inflatable SUP regularly or have other watercraft and gear to fill with air as well. Many users choose inflatable equipment because it makes transportation and storage less of a hassle. Combined with an electric pump, you will find that an inflatable stand up paddle board or kayak is an easy-to-use solution that gets you onto the water quickly and reliably. The BTP Mano is our Editor's Choice for the best electric inflatables pump with its combination of ease of use, speed of inflation and quality. I’m writing because I’m the owner of two iSUPs and I’m having trouble getting reliable data on electric pump durability. We bought two 12’6″ iSUPs last summer. We’re not that young and don’t relish the hand pump option, so I did my research and we purchased 2 electric pumps similar to your #4 Tower pump reviewed above. Our requirements were: 20psi, 12volt, 2stage, auto-shutoff, and durable. I found that various vendors/manufacturers were selling same pump (the one you review above by Tower) just re-branded and in different colors for various iSUP manufactures (Tower, Airhead, Connelly, OBrian, Aqua Marina, etc.). We bought two pumps because the specs said they would overheat and if used continuously for more than 20 minutes. It takes 15-20 mins to fill our boards to 19 psi. This wasn’t an issue as they were selling for approximately $90 last year (well worth the price). We loved them, and they did a great job. However, last week one of the pumps stopped working during the compressor stage. The O-rings in the compressor gave out. We’ve only used it about 20 times (the other one is still working fine). I contacted Airhead, the dealer of my pump, and they will honor their 1 year warranty (I’ve had the pump for 11 month’s). I’m still worried about the quality of this unit, so I went back online to research again. There isn’t very much technical/reliability information out there on 20 psi pumps, and the vendors I’ve talked with don’t even realize these re-branded pumps are all the same. Yesterday I called Seamax regarding the #3 pump you reviewed above. The exterior is obviously quite different from the others and it uses digital gauges and controls. Their rep assured me that their pump was very durable, but when pressed didn’t know the term of their warranty, the inflation rate, or technical information regarding the compressor. I was hoping you might have more information on this topic or could point me in the direction of someone who did. Appreciate your comment, the Seamax is a good option but I cannot comment to it’s long term reliability as I usually use a hand pump as a warm up. Honestly you really don’t need to go that high in pressure, I never do. I can’t tell the difference between 10psi and 18-20psi.